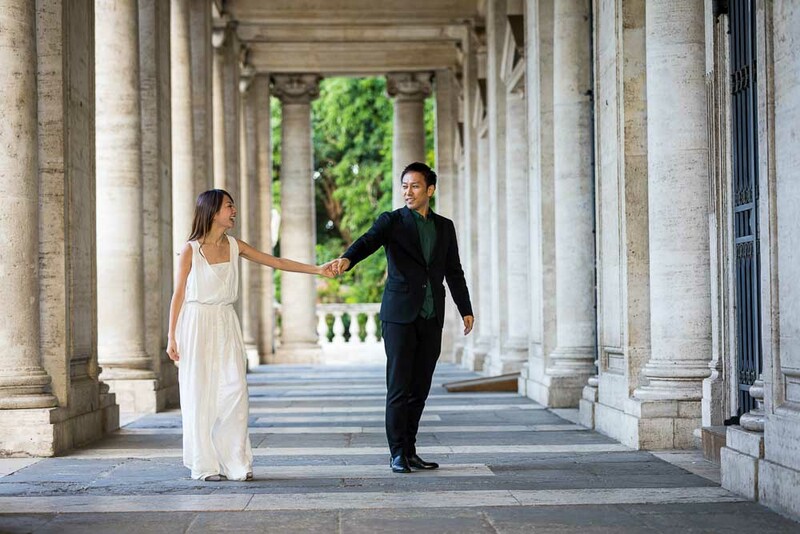 What a fantastic couple photo session in the eternal city of Rome! 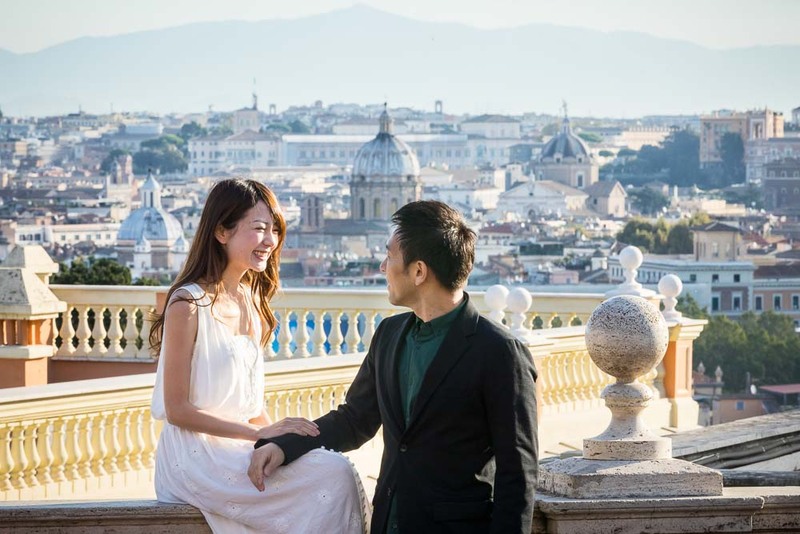 Starting in the early morning at the Castel Sant’angelo bridge to get some really nice photos together. 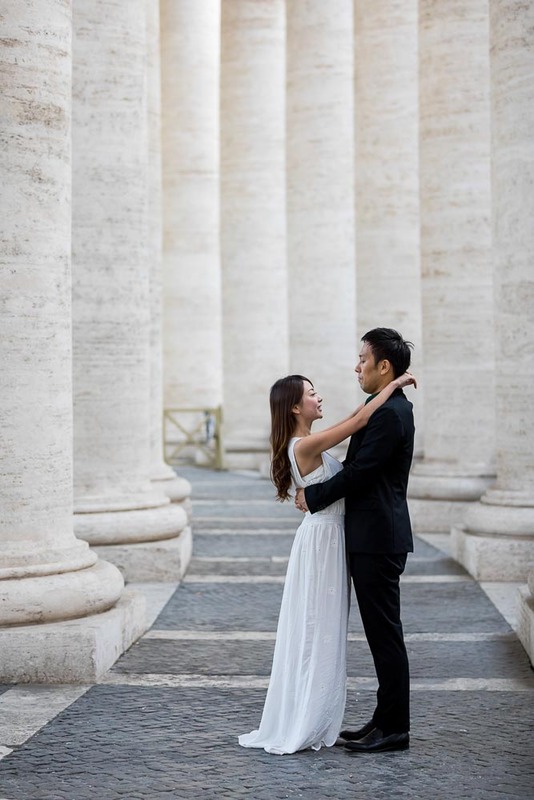 Celebrating a romantic wedding marriage in Rome Italy! In some of the most most scenic roman locations. Snapping some nice couple portraits in the warm sun rising light. Then heading over to Saint Peter’s cathedral to get some unique shots underneath the large marble columns. Both portrait pictures as well as some more spontaneous snapshots. Then we were off to the nearby Janiculum hill. 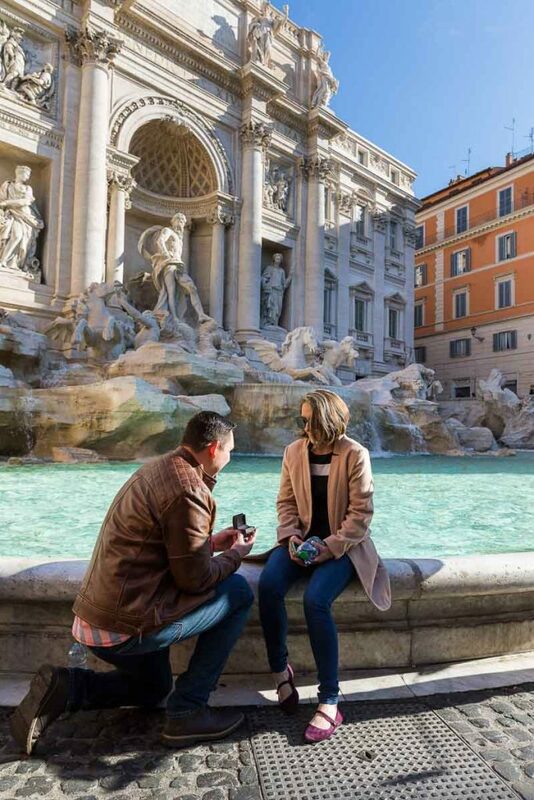 Taking some more photos by the Fontanone water fountain and enjoying the view over the ancient city from a distance. Then it was time to reach the Campidoglio square. Where we were able to capture some nice imagery of the ancient ruins from above. As well as a unique and panoramic view of the Colosseum in the far background. Then we took some more shots by a large marble statue and under the old columns found on the side of the square. Last but not least we drove over to the Roman Colosseum. Taking walking pictures with this incredible background view. 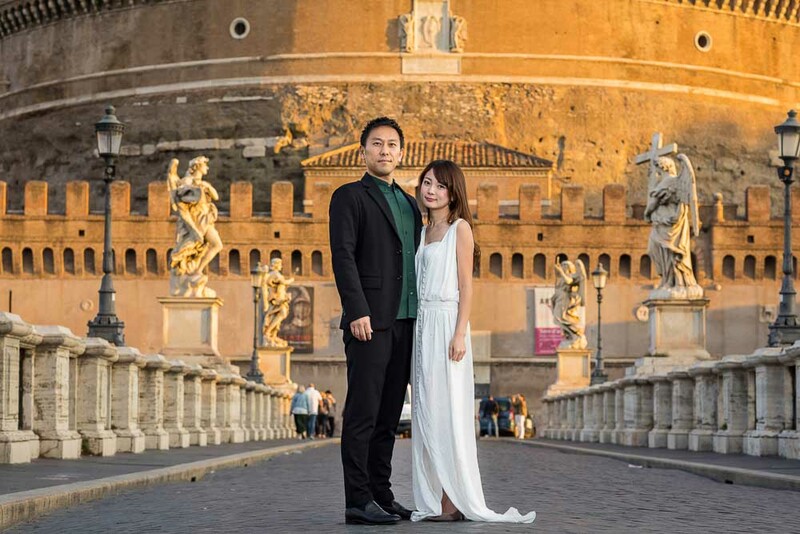 Concluding the romantic photo session with some final portraits sitting down before the Colosseo landmark monument. Curated imagery by Andrea Matone photography studio. 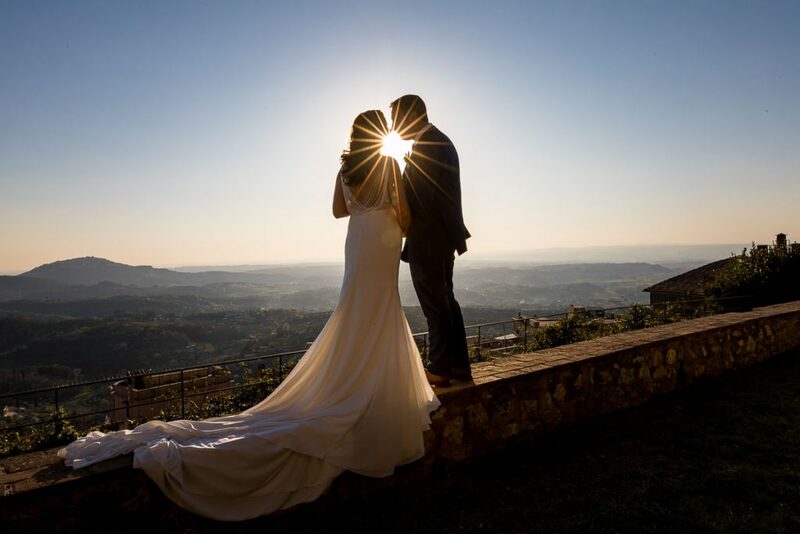 Click here to learn more about our photo sessions in Italy. Visit our page for bookings and reservations.